The dramatic landscapes, silhouetted trees and diverse wildlife of far eastern Botswana are a photographer’s dream. Mashatu Game Reserve also offers you the chance to really get the most out of your photographic equipment, whether it’s an iPhone or a digital SLR. A series of sensitively constructed and expertly positioned hides – including sunken hides at waterholes and a mobile hide – place you right where the action is. Ever wondered how wildlife photographers capture those close-ups of elephants’ toenails or eyelashes? Now you can get similar images, aided by an accompanying professional photographer. With their advice, you can up your photographic game considerably, and take sensational photographs that you will treasure forever as memories of your African safari. Mountain biking is an extremely popular sport in southern Africa, but at Mashatu you can leave tire tracks in places where few others have. Cruise along game paths kept open by passing elephants, and hear the sounds of nature uninterrupted by the throb of a diesel engine. 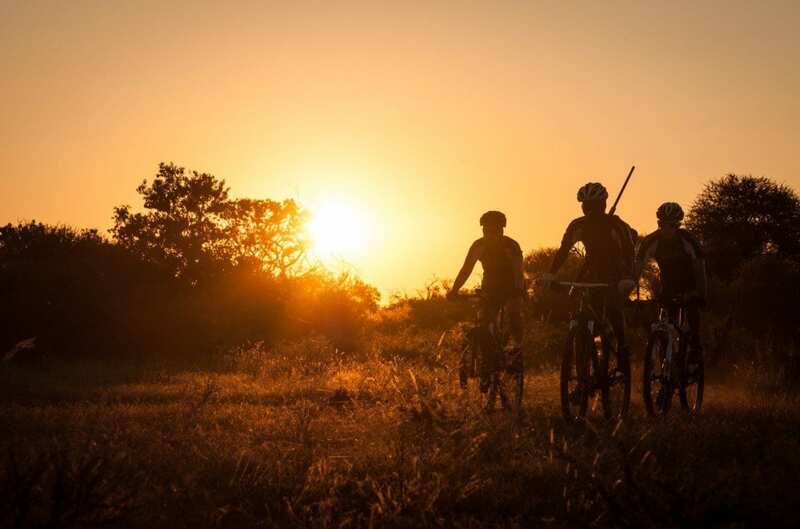 Mashatu’s rolling grasslands and rocky hills lend themselves perfectly to mountain biking, with the added thrill of spotting game along the way. End each ride at a pre-prepared campsite, where you can relive the day’s highlights around a blazing camp fire. Listen out for the calls of jackals and perhaps even the roar of lions and then turn in for one of the sweetest sleeps of your life, under the starry African skies. People have been walking across Africa for countless centuries, and now you can follow in the footsteps of your ancestors. Mashatu has a long and fascinating human history – famous golden rhino sculptures were found at neighboring Mapungubwe – so you will feel a real sense of belonging or even homecoming as you stride across the savannah. 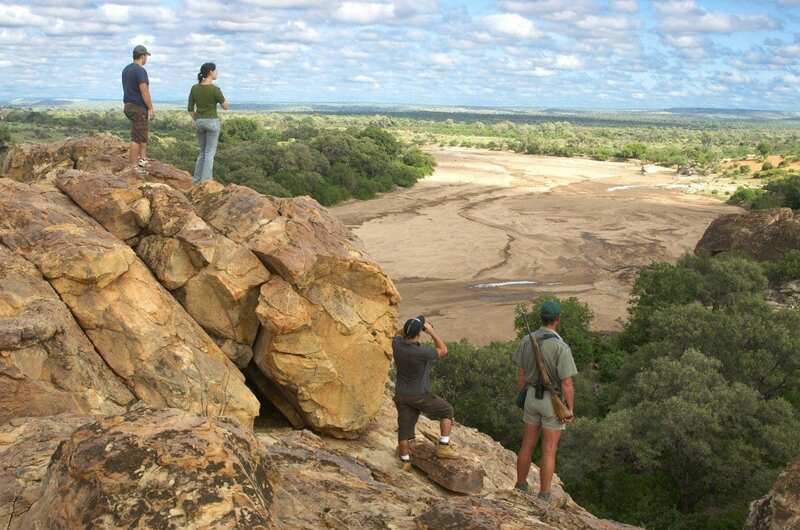 Your experienced guide will take advantage of the slower pace to point out to you many of the secret signs and tracks of the bush. Learn how to tell lion spoor from leopard footprints, and even how to determine the freshness of elephant dung! Arrive each afternoon to find your luggage waiting for you in your next campsite – there is no more intimate way to experience the African bush. Feel the exhilaration as you gallop alongside a herd of wild antelope, your horse’s hooves throwing up puffs of dust which hang in the golden sunlight. Limpopo Horse Safaris, based at Mashatu, offer experienced riders the chance to join an incredible outride through the African bush. 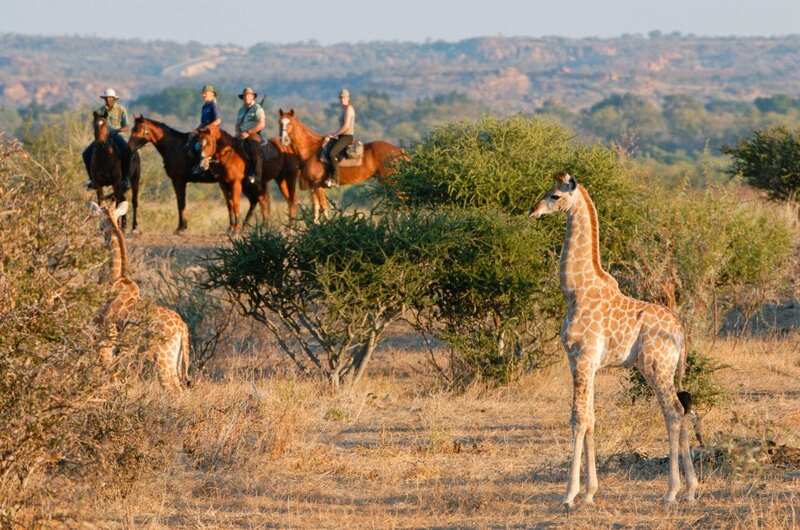 Specially trained horses give you with a completely new perspective on an African safari. Whether walking, trotting or cantering, the rhythm of the horse’s motion will help you tune in to the pulse of the wild. Enjoy the fresh air and sense of freedom as you look out from one of the reserve’s striking sandstone ridges – you can see for miles! On arrival at your camp for the night, liquid refreshments and the best of bush cuisine await. Your trusty steed will be fed and watered too, ready for more horseback adventures the next morning. In a day or two you’ll find that you wake naturally as the sun rises, and after a cup of coffee freshly brewed over the coals, you’ll be itching to get back in the saddle. 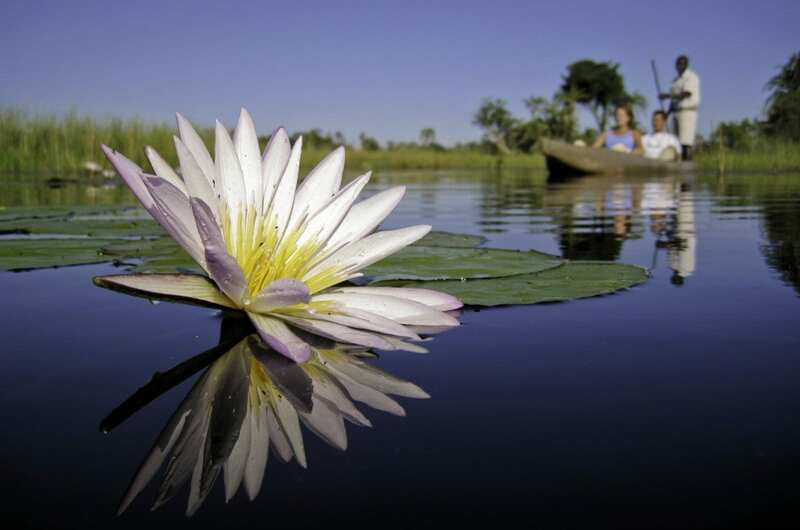 For a waterborne safari, you need to head further north in Botswana, to the country’s famed Okavango Delta. This glittering mosaic of islands and floodplains offers incredible wildlife viewing, including many aquatic species. Set deep in the heart of the Delta, Wilderness Safaris' Xigera Camp is the classic water safari destination. Knowledgeable guides take you out into the deeper channels and lagoons by boat in search of hippos, or you can choose to “throttle back” on your safari and explore the shallow floodplains by mokoro. A mokoro is a traditional dug-out canoe, propelled by a skilled poler in the same way as a Venetian gondola. With no engine, they are entirely silent, save for the whisper of the reeds along each side of the mokoro. Trail your fingers in the cool, crystal-clear waters, look out for brightly-coloured reed frogs, and enjoy an unforgettable sundowner on your own private island. 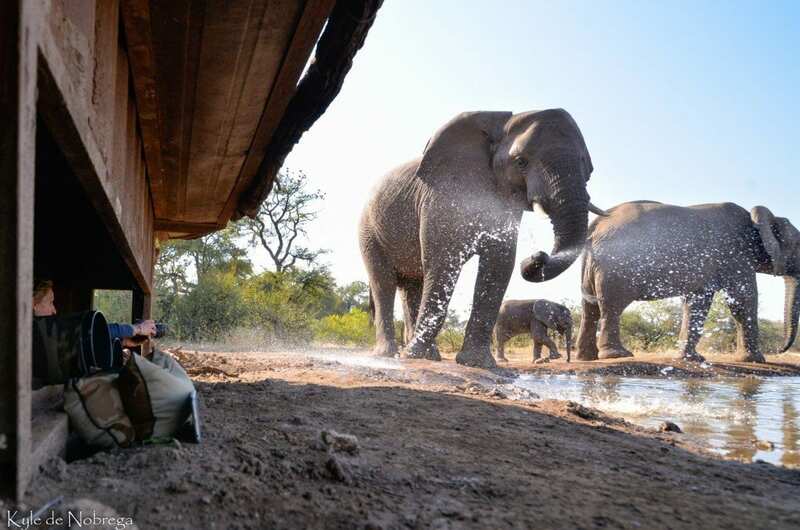 Naturally fluctuating water levels in the Delta can have an impact on water activities, but Xigera has another ace up its sleeves when the floodwaters recede: outstanding game drives on nearby Nxabega Island.